When the Diagnosis is Cancer, Where Should You Obtain Treatment? The University of Florida College of Medicine, in partnership with UF’s Academic and Professional Assembly, Women in Medicine and Science, and Association of Academic Women organizations, will celebrate Diversity Week with a leadership skills lecture and reception for women in science, technology, engineering, and mathematics (STEM) professions on Thursday, April 4, at 4 p.m. The free talk will take place at the UF Cancer & Genetics Research Complex Auditorium, 2033 Mowry Road, and will be followed by a networking reception in the Atrium. Two related career workshops are scheduled for Friday, April 5, beginning at 9 a.m., at the UF Health Davis Cancer Center, 2000 SW Archer Road. Registration is required and attendance is limited. 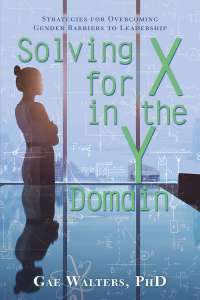 The April 4 lecture, entitled “Solving for X in the Y Domain: Strategies for Overcoming Gender Barriers to Leadership,” will be given by renowned author, organizational psychologist, and executive coach Gae Walters, PhD. Dr. Walters works extensively with women who hold senior leadership positions in the STEM professions, and her talk will focus on developing strategies and responses to issues of institutionalized gender bias and backlash. Gender backlash occurs when women enter male-dominated professions and behave in ways that challenge traditional female gender stereotypes. They often encounter the backlash effect and face “push back” professionally, interpersonally, and socially. The April 5 workshops, entitled “Inward, Outward and Onward: Leveraging Your Strengths and Projecting a Professional Presence,” led by Dr. Walters, will be divided into morning and afternoon sessions. Refreshments will be served. Registration is required and attendance is limited. The “Inward” morning session, “Leveraging Your Strengths,” 9 – 11:30 a.m., will help women identify their talents; build them into strengths; enjoy consistent, excellent performance; and experience heightened degrees of job satisfaction. The “Outward” afternoon session, “Projecting a Professional Presence,” from 1 – 3:30 p.m., will introduce professionals at all organizational levels to key strategies that will enhance a personal “brand”, establish credibility, and garner respect. The practical tips and tools taught in this workshop will rapidly build confidence, effectiveness and an authentically engaging presence in virtually any workplace interaction with others. The lecture and workshops are open to the public; STEM students, researchers, teachers and professionals are encouraged to attend. To register, click here. For more information, call 352-265-8832.